DIY Vehicle is a free vehicle maintenance log creator. 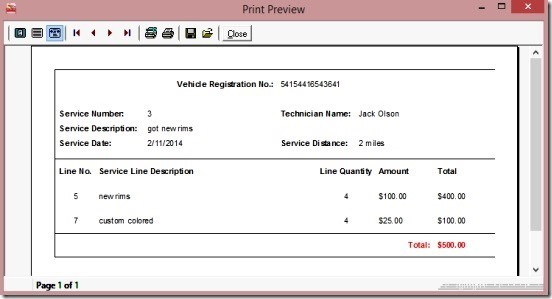 It is a simple freeware for Windows using which you can keep a log of expenses, invoices, and dates of vehicle maintenance. You can keep a record of every single maintenance done for all your vehicles. 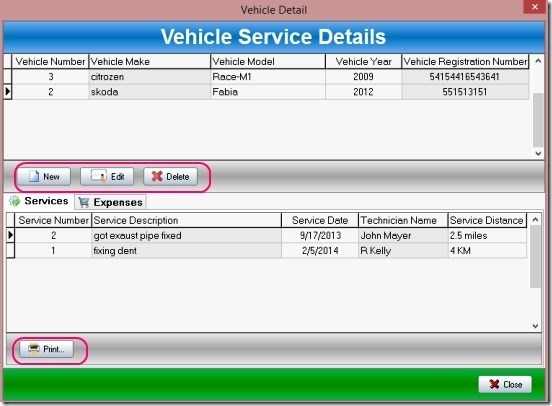 You can enter vehicle details like: model, make, registration number, year purchased, and keep a track on the maintenance expenses by adding maintenance/servicing date, servicing shop, distance, technician name, date, description, amount, and finally attaching invoices. It then helps you with viewing the total summary of all the expenses on vehicle maintenance, vehicle by vehicle. You can even print these using the print feature given within the software. Keeping a record of vehicle maintenance and expenses is important. 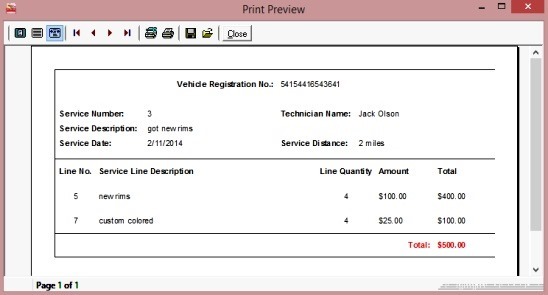 Using this free vehicle maintenance log creator, you can now keep a record of all maintenance expenses and other related information. 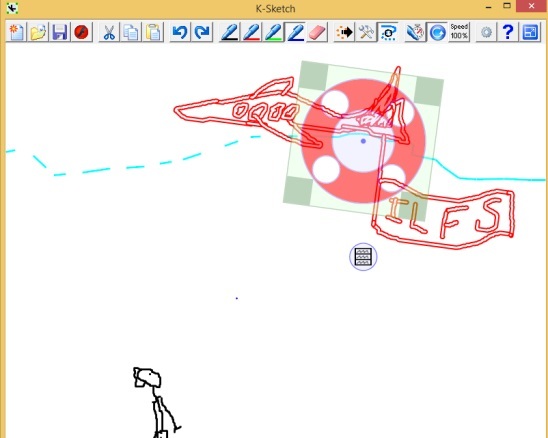 The freeware is lightweight and portable. You can download it from the link given at end of this review. Simply run the DIYVehicle.exe file from the downloaded zip folder. 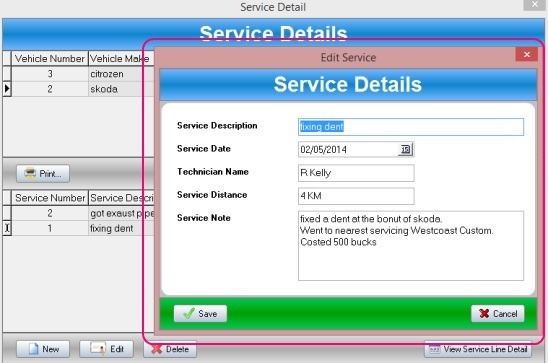 The freeware is handy in terms of keeping record of vehicle maintenance expense details, and then viewing the details in a simple and easy manner. But, entering the details of the expenses is bit tedious task. Nothing is automatic and you have to do everything manually. Also entering details window after window can get confusing. There should have been some easier way that the details you entered in the previous parent window, gets automatically updated and imported in new sub-window. For example: providing a drop down button showing the list of cars (you added earlier in car details window), on the expense window, while adding cars’ maintenance expenses. The freeware has three main tabs: Vehicle Details, Service Details, and Expense Details. Click on the requisite tab to do desired. The buttons on the interface are simple and easy to understand and use. The process of adding new details is a step by steps process. But, it’s the task of adding maintenance details that is most overwhelming. 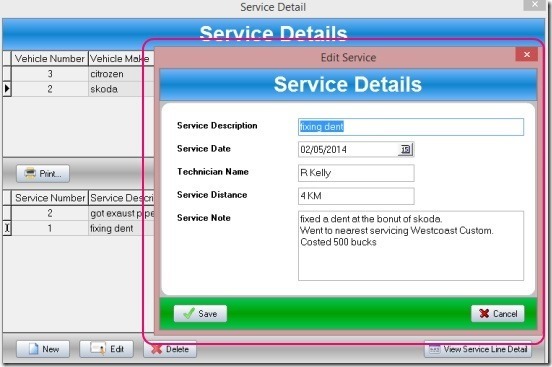 You have to remember the expense dates and prices, that you entered under the Service Line Details window, to be entered inside Expense Details window. Good thing is you can edit saved details and delete unwanted ones. Also you can attach a jpg photo of the invoices with the expense details. The freeware lets you add good amount of details, including servicing date, center, distance, technician, description, and price etc. Once done, you can then see the total expenses that you have made so far on the vehicles, one by one, and print them using Print button. 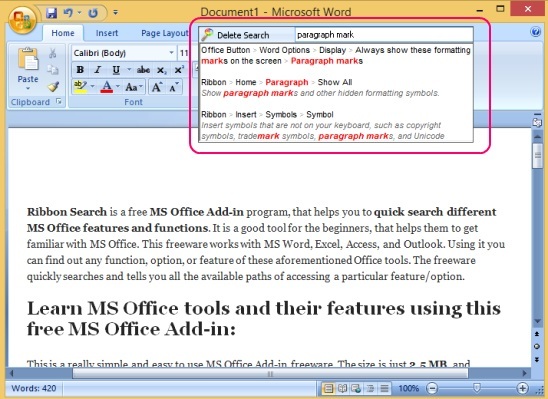 Use New, edit, delete, and print buttons to create a maintenance log. Also check out another Vehicle Maint. 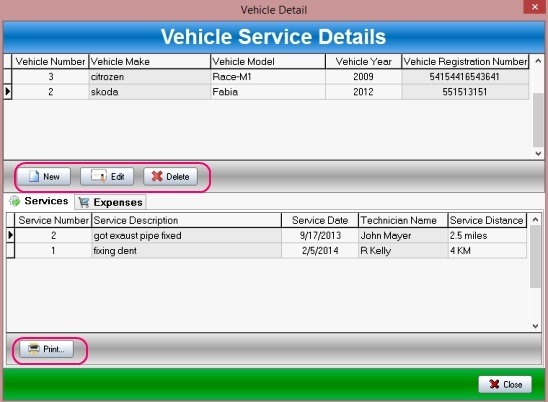 Log Software to track vehicle’s maintenance. DIY Vehicle is a a good attempt at making a decent vehicle maintenance software. It’s lightweight, fast, and portable. Though adding details can be bit tiring, still it’s a good enough freeware to keep a record of expenses on vehicle maintenance.